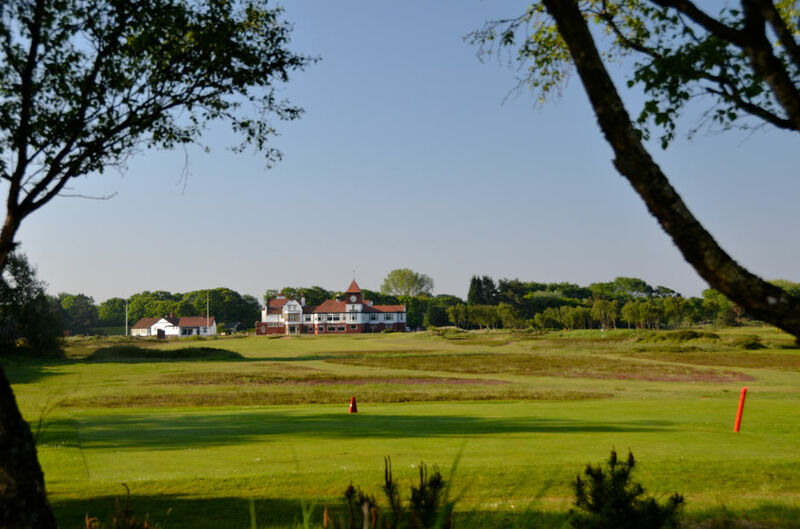 Formby Ladies Golf Club shares the same estate as Formby Golf Club, which is a 470 acre Site of Special Scientific Interest (SSSI), running through the mature sand dunes, dune heathland and pinewoods of Formby. Formby Golf Club is a championship links course and has hosted many prestigious events including the Curtis Cup in 2004. Although Formby Golf Club is a male only members club, it welcomes both male and female visitors and caters for corporate, societies and charity days. Visitors may stay overnight in the 'Dormy House', which gives access to members tee times and to Saturday and Sunday morning tee times on Formby Ladies. For more information visit Formby Golf Club 's own web site. View of Formby Golf Club from Formby Ladies' 18th tee.